Whatever your age, if you’ve assets eg, a house, savings, or a business, and people or others you’d like to look after, consider making a will. While thinking, talking and planning for death may feel uncomfortable, you need to consider how much worse the situation would be if you died or became incapacitated – through illness, accident, old age or emergency – without sorting it. The law doesn’t really recognise this, so don’t expect anything to go to your partner if you don’t make a will. Decide what should happen to family pets. ‘Joint tenant’ mortgages automatically pass to the other owner. If you’ve a ‘tenants in common’ mortgage, it’s important to say what happens to your share of the house. If you own a property overseas, inheritance laws may be different to the UK. Update your will when you marry, divorce or have kids. If you’re a sole director, it’s possible that if you die without executors, nobody can authorise payments (including to staff), so your business could collapse. These are the people who’ll look after the financial process when you die. Try to choose a responsible and trusted friend or relative, who can think clearly in a troubled time. Alternatively some name a bank or solicitor, though they often charge monstrous fees, so make sure you only allow this if you’ve chosen it for yourself. They’re also the people who will sort out finances – such as paying off the mortgage and/or other debts out of your estate. This is where you work out who you want your estate to go to. That means everything you own at the point you die, including your property, businesses, car, savings, investments, pension fund, life insurance, expensive jewellery, pets and more. Be aware, though, you can’t force people to take what you leave them. Whether it’s a sofa, or a house in negative equity, they don’t have to take it. 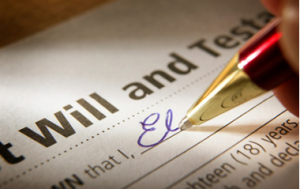 If a person disclaims a bequest, it goes in with the residue of the estate. 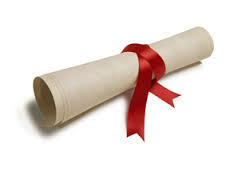 This is dealt with under the residuary clause in the will. If you die responsibility for your children will automatically go to anyone else with ‘parental responsibility’. Mothers automatically have this, as do fathers if they’re married to the mother. If the parents are not married, the father may have automatic parental responsibility if the children were born in 2003 or later and the father was named on the birth certificate. People with dependent children usually use a will to name a guardian(s) for their children, and also to allocate funds to ensure they’re financially supported while growing up. If you don’t make a will, and there is no one else with parental responsibility, the courts will decide what happens to your child in the event of your death. If you die intestate (without a will) there are strict laws about to whom and how your estate is distributed. This causes two problems. First, the money may not go where you want, and secondly, it’s likely to be inefficient for inheritance tax purposes. The law says you pay 40% of any assets worth over £325,000 that you leave, so those with valuable houses or larger estates could pay a fortune. Yet there are many legal ways you can plan ahead to reduce this. If you would like to speak to someone about Wills, please complete the form below.